It’s interesting how uncomfortable people are when we say that we’re not sure where we’re going yet. One friend literally asks, “Have you decided yet?” every time I see her. It’s as though, once we choose a destination, everything else will happen automatically. But choosing a country is just the beginning of our gigantic list of decisions that come next: find housing, find transportation, find language immersion, find longer-term school for kids, find internet access, find food, find activities, find people to talk to, find our whole life. Besides, I can’t choose a place to spend six months sight unseen. All the Lonely Planet and internet research and interviews with people who’ve been there and stalking street view on Google Maps can’t tell me what it feels like to actually be there. What if we make detailed plans for a place and then hate it? So instead, we are creating a Top-Three list — three places that we’ve done a lot of research on and might fit our criteria — and start at the top. If we love it, initiate housing/transportation/school sequence. If we don’t, move down the list. But I’m considering lying, and saying we’ve chosen a place, because other people’s anxiety is starting to wear on me. Not Mexico. It fits the rest of our criteria, of course, but it seems odd to pick a country that’s 11 minutes from my house for this level of adventure. This left us with only only two options: Colombia and Puerto Rico. Weird, right? 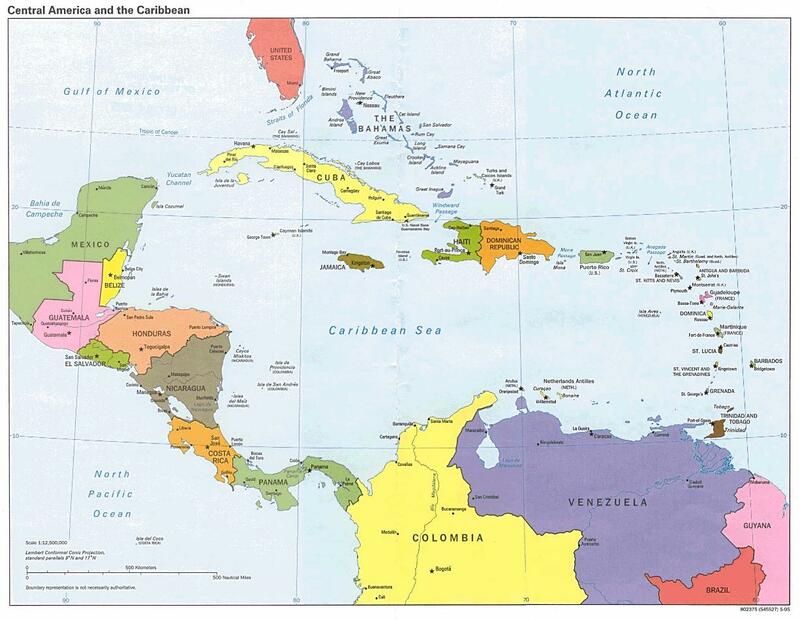 But if you look at a map, you’ll see that the rest of the Caribbean coast is either not Spanish speaking or is undeveloped jungle. Okay, there’s the Dominican Republic, but everyone says we’ll come back speaking unintelligible Spanish; and Cuba, which would be AWESOME except that the Degree of Difficulty rating is terribly high, with foreigners not allowed to use the local currency, and Americans not allowed to go there at all. I’d sign up in an instant for a vacation to Cuba, but six months breaks too many rules for my law-abiding heart. Puerto Rico would be easy, since there are no visa or currency issues since it’s still this country — but I can’t get excited about it. If I wanted to immerse myself in a Spanish-speaking part of the US, I could move just a few miles south within my own city. I’ve tracked down everyone I can find — friends of friends of someone’s gym instructor — who is Colombian or has been there. So far, no one has yet answered, “Yes,” when I ask if they think we’re crazy, which is a good sign. But there isn’t the level of enthusiasm that I’d expected. And there are some aspects that didn’t feature in my fantasies about this sabbatical: public school isn’t an option — it sounds like they only have them in very poor areas — and there is a lot of talk of doormen/guards and gates. But I guess Colombia is now #1 on our list of options. Which is strange, actually, because I’m pretty sure I’ve thought about Colombia less than a dozen times in my entire life, and never in the context of, “Hey, that sounds like a cool place to go!” It reminds me of our year-long trip, when we skipped over the obvious European countries that I’ve always wanted to visit — France, Ireland, Scotland — in favor of Estonia, Latvia, Norway and Finland, countries I had no particular desire to visit. Our logic was that we would never take a two-week vacation to Latvia, but we certainly would to France, so we could save France for later. Of course, it’s been 15 years and I haven’t been to Ireland. Instead, I’m planning six months in Colombia of all places.